Clematis macropetala 'Blue Lagoon' gets its name from the deep blue nodding bell-shaped flowers with yellow and white centres, which are freely produced in spring. The flowers are large, between 5cm-8cm in diameter. A second flowering may occur in August too. 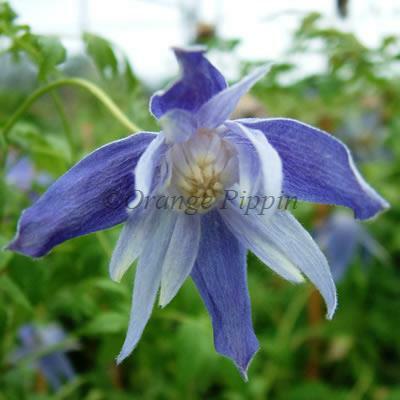 Clematis macropetala 'Blue Lagoon' was raised by George Jackman and Son, England, and released in 1958. It is sometimes known as 'Lagoon'. ‘Blue Lagoon’ will thrive in any aspect and grow to a height of 2m - 2.5m.